Enjoy guaranteed results when you have an experienced plumber in Anaheim, CA working on your plumbing needs. We invest a lot of money not only on giving our technicians further training to hone their craft further, but in the most modern equipment related to their trade. When plumbing problems happen, it is nice to know that there are technical persons you can readily approach near your location. Be it a request for a plumbing repair job or a scheduled maintenance, our Anaheim plumber guarantees to be there in 60 minutes. 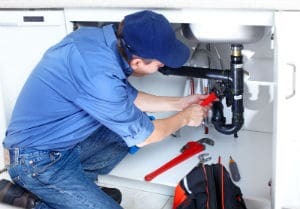 Right here in OC Plumbing Pros, you can find plumbers who work with your best interest in mind. This helps keep our overhead expenses down, and enables us to maintain the cost of our services at a minimum. Call us 24/7 at (949) 371-8413. Affordable Installation and Repair of Water Heaters: It is never a laughing matter when your water heater breaks down, especially when you have not even finished your bath yet! You might even save more money this way. Nevertheless, it is a good idea to call our experts to see if you need to buy a replacement or not. If your water heater can be repaired on the spot, we won’t recommend that you buy a new one even though, in theory, we would have earned much more with the second option. Even if you don’t currently have a plumbing emergency in your home, the chances are good that you will have one at some point. The plumbing systems in Anaheim homes are getting older every day, and the best way to help avoid large emergencies is to have our technicians perform a periodic plumbing inspection. Our experts will highlight items that are in poor condition that you may not be aware of, which may help prevent a major catastrophe down the road. Trust our 15+ years of expertise to fix your emergency plumbing issues & also help you prevent such emergencies where possible. Drain Cleaning Services To Keep Drains Open: People tend to overlook the condition of the downspouts and drains. We do have the cameras to snake down the drain and pinpoint where the problem lies. Not only is this an eyesore, it is also unsanitary. Detecting and Repairing Hard-to-Find leaks: Call us and we will send our team anywhere in Anaheim to diagnose and address the problem. We’ve had cases when homeowners came back from a vacation to find their house in wreck because of an unattended water leak. In less extreme cases, a leak can cause a sudden surge in your monthly bill. For this reason, leaks must not go undetected for too long. Water leaks are more than an annoyance; they can seriously damage your floors, walls and ceilings, not to mention your furniture or appliances. Leaks have the potential to create havoc to your property and increase your water bills by folds. Emergency Plumber Anaheim – Call Us Now! We Provide Re-piping, Garbage Disposal Repair and Installation Services: From replacing a burst water pipe in your Anaheim property to rerouting pipes to accommodate building renovation projects, our experts can get the job done in accordance with safety standards. To show that in every job we do, we have the full backing of the city. Our technicians did complete the necessary training to secure their license. Look no further than our company, then, and receive expert advice on the best thing to do when your unit is in trouble. Do not make the mistake of attempting to repair it yourself, because without sufficient knowledge and skills, you can end up damaging your unit. Toilet Installations and Repairs: We at OC Plumbing Pros always strive to be as less intrusive as possible. Have peace of mind that our team will address your situation right away. But somebody has to do it. A damaged seal in your toilet is not just gross, but actually a health issue. Aside from that, a dysfunctional toilet can spell bad news for your health, too, especially if there is water leaking out of it in your home. 24/7 Emergency Services Available At OC Plumbing Pros: We understand that plumbing emergencies can happen when you least expect them, the reason why we make ourselves available 24 hours a day. Every call is processed right away although the estimated arrival time will depend on traffic and distance, of course. Plumbing issues can affect your daily activities, and, when not fixed right away, they can have unfortunate effects not just on your property, but on your health, too. We know the nature of each problem, but there are issues that are more severe than others. Call Our Friendly Customer Representatives for Any Problem Today: We do this through the experience of our technicians, and the tools and equipment we’ve acquired through the years. We always strive to make the whole process as painless as possible for our customers. Contact our Anaheim plumbers at OC Plumbing Pros now so we can get the process going. Call our plumbing contractors today at (949) 371-8413!